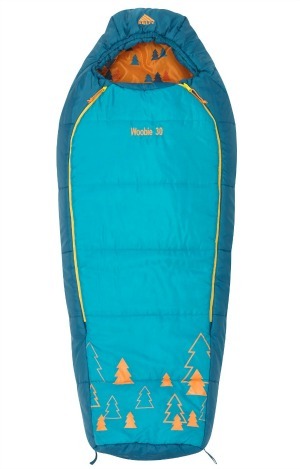 Barrel sleeping bags are a great compromise between rectangular sleeping bags and mummy sleeping bags. Since they have some of the advantages of both barrel and rectangular bags, they are ideal for many families. Some barrel bags resemble mummy sleeping bags. Others are more like rectangular sleeping bags. A barrel bag is roomy and comfortable. You can roll over and move around in a barrel bag. You can't in a mummy bag! Many children (and lots of adults) find mummy bags too confining. They prefer the freedom of a hybrid bag. 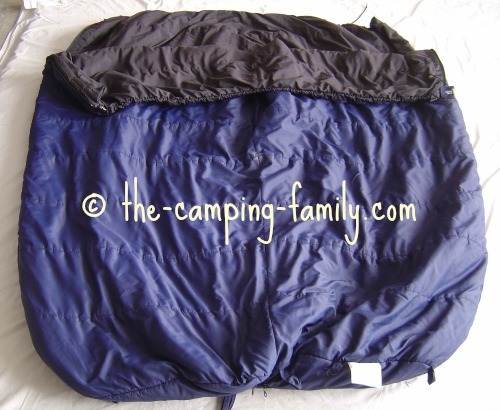 Here's a good quality children's sleeping bag that comes in several nice prints. A barrel bag is lighter than a comparable rectangular bag. It's less bulky to pack than a rectangular bag, too. Since a barrel bag has more empty space for your body to heat, it is not as warm as a comparably sized mummy bag. 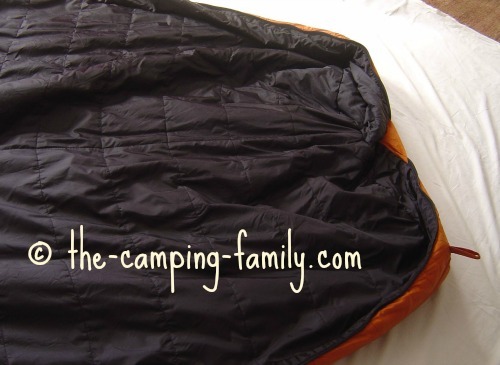 Click here to learn how mummy sleeping bags keep you warm. 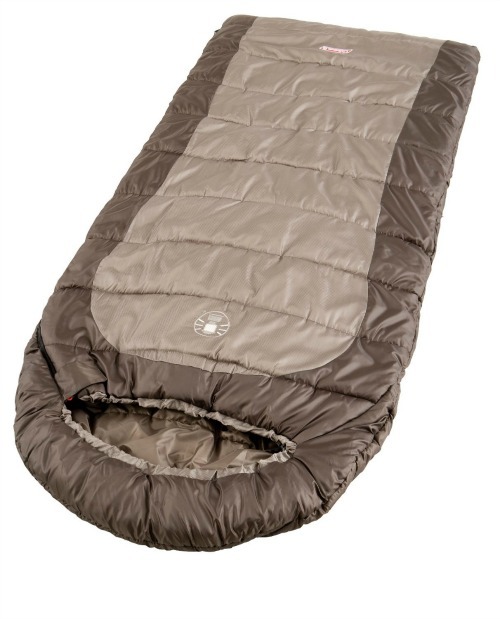 If you are looking for cold weather sleeping bags, you'll probably choose a mummy bag. A barrel bag is heavier than a comparable mummy bag. A barrel bag may or may not have an attached hood. I don't think you need one. If you are going to camp when it's cold enough for a hood, you really should have a mummy bag. This just means that the end of the bag has a circular panel, like the end of a tin can. It allows you to lie on your back and wiggle your toes in comfort. Most barrel bags can open nearly flat (though not as flat as a rectangular bag). This means that they can be used as extra blankets or comforters. 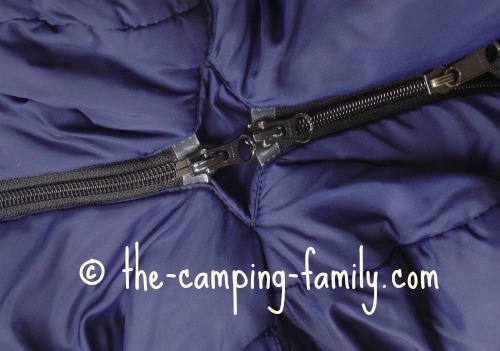 Barrel sleeping bags that zip together are handy. As long as they don't have hoods, any two barrel bags with the same type of zipper can be attached. If you are buying two bags with hoods, and you want to be able to zip them together, be sure to get a right-zip bag and a left-zip bag. If you find a mummy bag too confining, but you don't want the weight and bulk of a rectangular bag, a barrel bag is probably ideal for you. 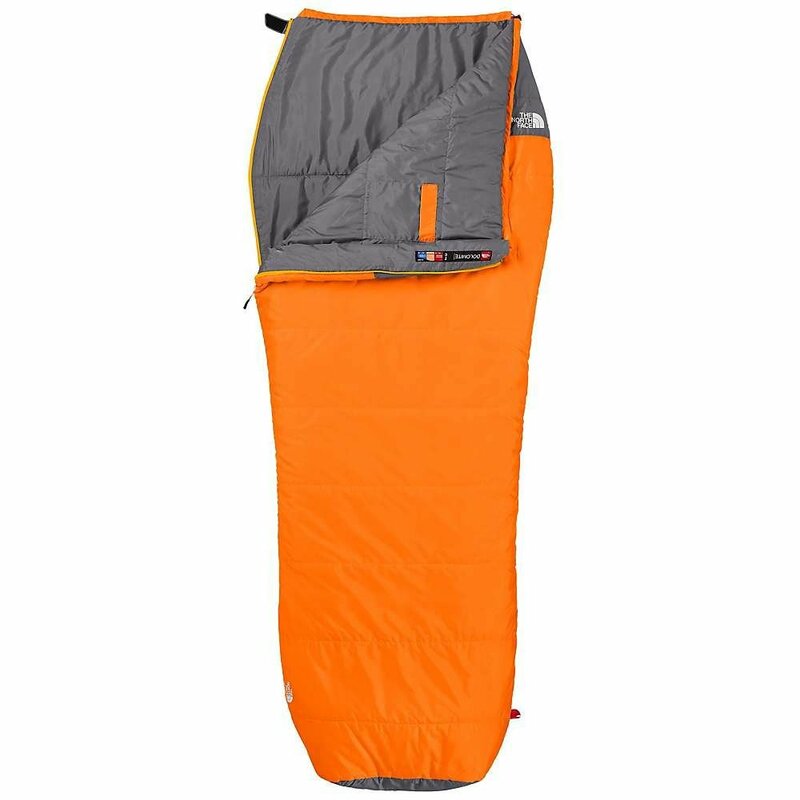 Now that you know about barrel sleeping bags, click here to learn more about the different types of camping sleeping bags. 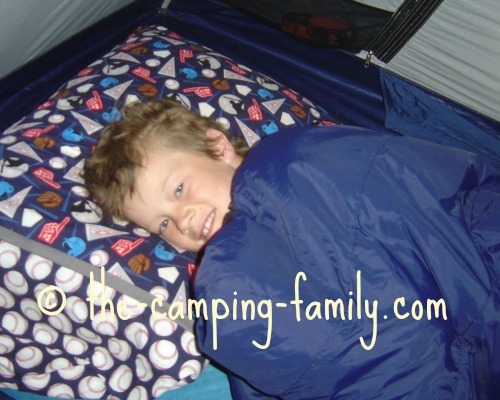 Please visit The Camping Family home page! 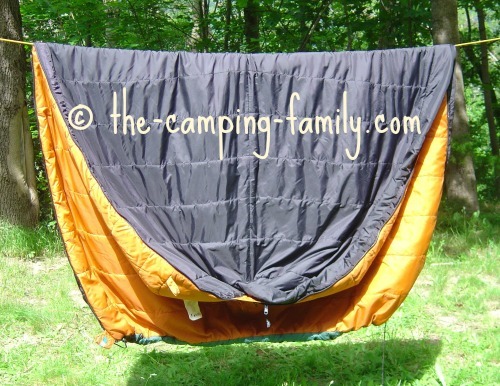 You'll find lots of information to help you plan your next camping trip.